It all starts with a dram. Today, I bring international whisky enthusiasts an exclusive taste of my nation’s traditional spirit. I source some of the rarest casks before they are lost in exile. By constantly keeping one ear to the ground, I seek out smaller casks, recently closed distilleries or top-drawer excess stock just waiting to be bottled. I created Hannah Whisky Merchants to share my unique discoveries. 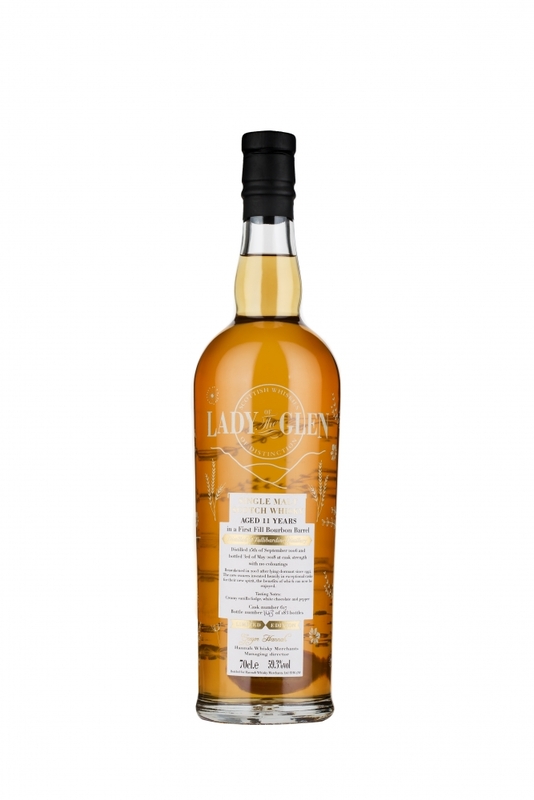 Our iconic label, Lady of the Glen, gives you my personal guarantee that every cask has been taste-tested and independently bottled by us, kept as pure as we found it in a Scottish distillery. I’m proud to offer worldwide collectors and connoisseurs instant access to extremely limited releases of premium, single cask whisky. And it all started with an inspiring dram passed between father and son. Director of Hannah Whisky Merchants Ltd.
Part of an exceptional era of distillation at Tullibardine when the distillery was bought after lying dormant since 1993. Distillation was managed by Master Blender John Black and there was huge investment in high quality casks for maturation. We celebrate the natural heritage of Scotch whisky by exclusively sharing single cask discoveries under our premium label, Lady of the Glen. Our spirit is sourced from distilleries in Speyside, Highland, Lowland and Islay regions. Every cask is finite and must come to an end. 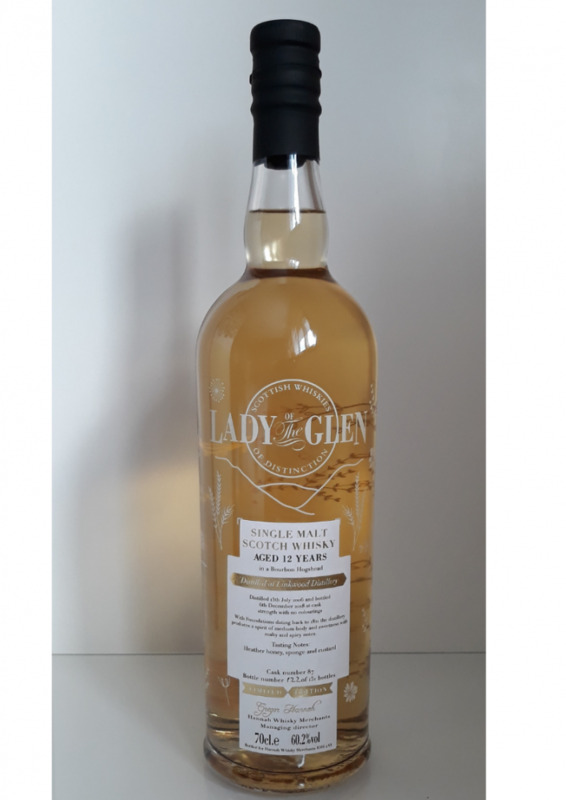 Once Lady of the Glen limited edition releases are sold out – like our fleeting Littlemill and Bowmore releases – you will only find a nostalgic snapshot of them on our Collection page. Currently, 20 million casks of whisky lie maturing in private Scottish locations. Lady of the Glen offers you the grandest handful of these. We are independent bottlers of single-cask whisky, so each release represents one special distillery, one oak cask and a limited edition of individually labelled bottles of Scotch. Our whisky releases can take years to source, but often sell-out in just weeks, proving to be hugely popular with collectors and connoisseurs worldwide. Our success lies in the purity of our product. We never buy in bulk or fill warehouses with our latest finds. Each cask is hand-sourced, independently bottled and 100% natural with zero tampering or chill-filtering. When we release we bottle at natural cask strength, with no colouring or chill filtering. There’s no magic to our methods – besides the Angel’s taking their share! We’ve simply built lasting relationships with talented experts who can locate the best of those 20 million casks. The rest is up to the whisky. The casks may be our discoveries, but a single bottle is your chance to start a luxury whisky collection of your own. When sourcing whisky, taste is our top priority. We can guarantee the quality of every release thanks to a dedicated group of whisky enthusiasts, who are independently sent new samples to share their genuine tasting notes online. Follow them to find your desired flavour profile. Anywhere between 50% and 80% of a whisky’s flavour is imparted by its cask. So, you can understand why the most incredible releases have spent some serious time maturing in top-quality oak (at least 3 years). Gregor, our founder, personally tastes every cask – and if it doesn’t knock his socks off, we simply don’t stock it. 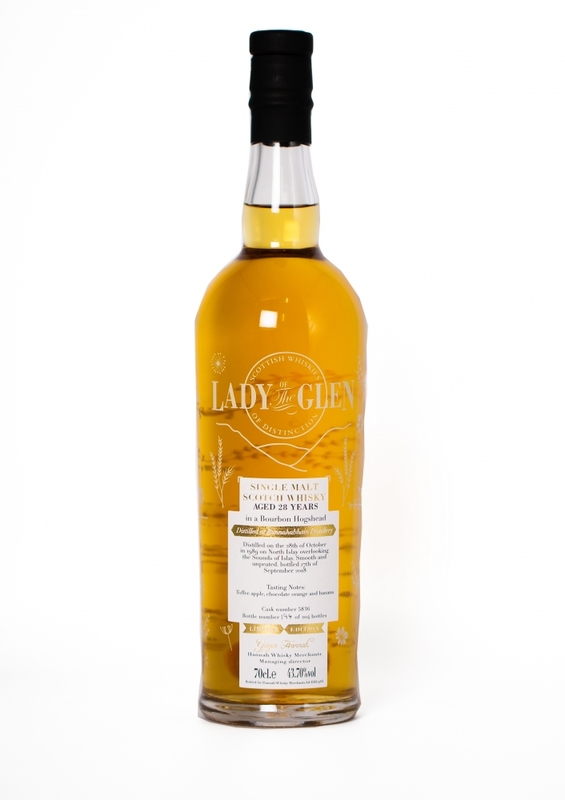 Every Lady of the Glen label is embellished with iconic floral detailing, featuring your whisky’s unique number and single malt specifics. This not only ensures a gift or investment is protected from fraud, but confirms the spirit’s exact origin. With us, you can always collect with confidence.